The Fancy Feast Cat Food was introduced in 1982, originally offering seven varieties of wet cat food in 3-ounce cans. Today, Fancy Feast Cat Food is produced and manufactured by Purina. Purina pet foods was founded in 1984 in St. Louis, Missouri and later combined with Nestle’s Friskies division in 2001 to form Nestle Purina Petcare Company. 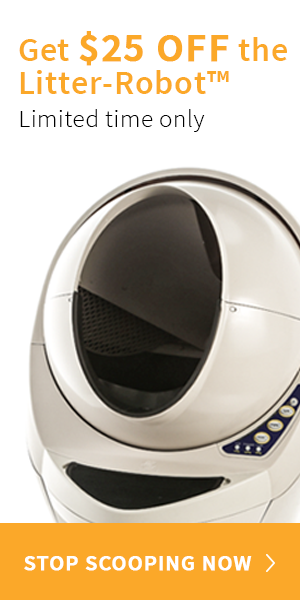 The Nestle Purina Petcare company owns and manufactures a number of cat food brands including Fancy Feast, Friskies, Purina Pro Plan, Purina ONE, and Beyond. As of 2012, the Nestle Purina Petcare Company is the largest pet food company in the United States and the second-largest in the world. Fancy Feast is marketed as a “gourmet cat food” but the website provides very little information about the product itself. 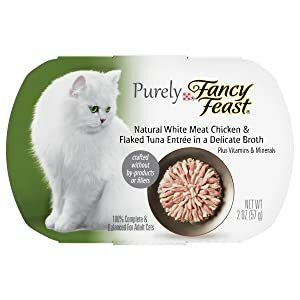 The Fancy Feast brand primarily produces wet cat food products and they currently offer a wide variety of different product lines including Classic, Marinated Morsels, Roasted, Flaked, Grilled, Chunky, and Broths. There are only three varieties of dry Fancy Feast cat foods in Filet Mignon, Ocean Fish, and Chicken flavors. "A moist and delicious meal in every can." "Good taste is easy to recognize." "Is it love, or is it Fancy Feast?" "The best ingredient is love." ​Rating: Overall, the P﻿urely Fancy Feast Natural White Meat Chicken cat food receives a Petlovetoday rating of 4.5 out of 5. ​Fancy Feast Cat Food can be purchased at a variety of local and national pet food chains including specialty stores and some veterinary offices. You can find retailers of Fancy Feast products by clicking on the BUY NOW link and typing your zip code into the search bar. You can also buy Fancy Feast products from some online pet food retailers like Chewy.com and PetFoodDirect.com or purchase them directly from the Purina online store. According to the Fancy Feast website, the brand has been developing and selling the “most enjoyable gourmet meals” for cats for the past 25 years. As stated by the website, Fancy Feast’s goal is to achieve culinary perfection, bringing cats and their owners love and joy as well as balanced nutrition. Unfortunately, a quick review of Fancy Feast’s dry products reveals a variety of low-quality ingredients and fillers such as poultry by-product meal, corn gluten meal, and ground yellow corn. It is very troubling that the only true source of protein comes from poultry by-products and it isn’t even listed first on the ingredients list. 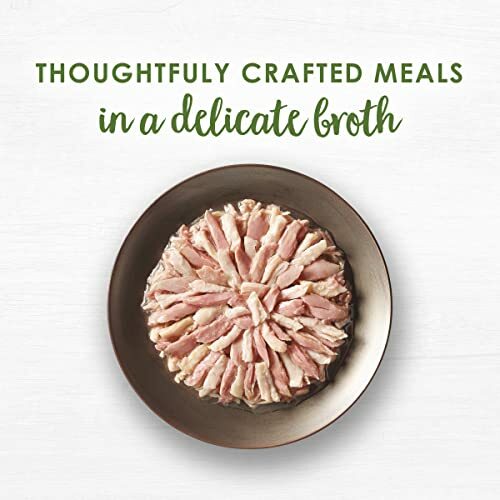 One of the newest product lines for Fancy Feast is their broth pouches which are made up of “a decadent broth with tender bites of real seafood, crafted without by-products or fillers”. A review of several products in the Broths line reveals a very short list of ingredients (less than ten) including things like fish broth, tuna, mackerel, salmon, fish extract, spinach, tomatoes, and modified tapioca starch. Unfortunately, these Broths also include carrageenan, an ingredient used as a thickener but can cause dangerous reactions in cats. Some of Fancy Feast’s classic recipes including patés and chunks are made with meat by-products, poultry by-products, and artificial flavors. It is difficult to rate the quality of Fancy Feast products as a whole since there are so many different product lines. A brief review of several products, however, reveals the use of numerous questionable ingredients and low-quality proteins. It is also concerning that the Fancy Feast website does not provide any information about where its products are manufactured or where the ingredients come from. The Purina website suggests that 99% of their products are made in the United States but it is difficult to tell. ​The Purely Fancy Feast line of entrees is one of the newest additions to the Fancy Feast family of products. These entrees are made with real seafood, chicken or beef in a delicate broth without by-products and fillers. There are seven different recipes made with the flavors of natural white meat chicken, flaked tuna, natural seabass, shrimp, tender tongol tuna, shredded beef, and wild Alaskan salmon. The Purely Fancy Feast Natural White Meat Chicken & Flaked Tuna Entrée in a Delicate Broth Recipe is made with a blend of white meat chicken and flaked skipjack tuna in a recipe that contains fewer than thirty ingredients – over half of those ingredients are vitamin or mineral supplements, however, and they are not chelated to ensure maximum nutrient absorption. At first glance, the ingredients list looks okay but it is a little sparse in terms of quality ingredients. The first ingredient in this Purely Fancy Feast Natural White Meat Chicken & Flaked Tuna Entrée in a Delicate Broth Recipe is chicken broth followed by chicken and skipjack tuna. Listing a broth as the first ingredient in a wet cat food is fairly standard so it is not necessarily a problem that the first ingredient is not a source of protein. It is a good thing that they next two ingredients are. After these three ingredients, however, the remaining twenty or so ingredients do not appear to offer significant nutritional value. The fourth ingredient is sunflower seed oil which is likely included to provide omega-3 and omega-6 fatty acids, but it would be better to see a source of animal fat or fish oil listed instead of this plant-based ingredient. It would also be better to include fresh sources of vitamins and minerals instead of supplements. Even though cats have no nutritional need for carbohydrates, fresh fruits and vegetables do provide dietary fiber and they can provide natural and more biologically valuable sources of essential nutrients than artificial supplements.